This is the first writing reference book for designers. 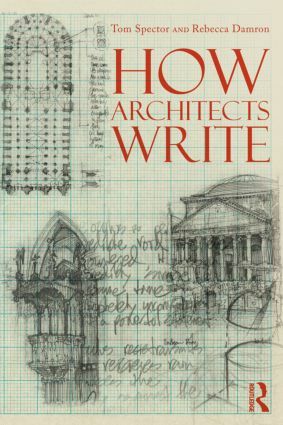 Whether you're an architect, landscape architect, interior designers, or an industrial designer How Architects Write shows you the interdependence of writing and design. Authors Tom Spector and Rebecca Damron present typical writing assignments and explain principles of effective writing by including examples of good form and illustrating common pitfalls. The book includes resources for how to write a designer’s manifesto, statements of design intent, criticism, thesis, proposals, review statements, research reports, specifications, field reports, client communications, post-occupancy evaluations, and e-mailed meeting agendas so that you can navigate your career from school to the profession.